Ugh, I can finally relax. I started off with English. We finished watching the Lord of the Flies movie. It was kinda bad, haha. Didn’t follow the book at all and none of them were good actors, but kid actors aren’t usually the best anyway. Piggy was good though. RIP Piggy. I had art next and my clay pot wasn’t done yet, so I doodled. At lunch I sat with Kohai and we talked. I explained to her the results of her personality test, and then we studied for our French test a bit, which was in a different classroom. It made me slightly more focused, surprisingly, and I don’t think I did great, but not bad. I might of just gotten a B.
I finished with psychology. Our teacher decided to show us pictures of when he taught in Asia for two years. He visited North Korea as well, and took a picture that he wasn’t supposed to, which made me shocked that he got away with it. It was of a door in underground tunnels for soldiers. Apparently, he’s also classified as MIA; when he was in Thailand, he tried going to a city in the south. A tsunami ended up hitting it, and he never reached it. He turned back, and since no one could find him, they put him as MIA and told his wife that they’ll “go look for his body”. Luckily, he’s alive and safe. He also showed pictures of the students and one of them gave him the finger in the picture haha. The other was a lot cuter and they were all hugging him. 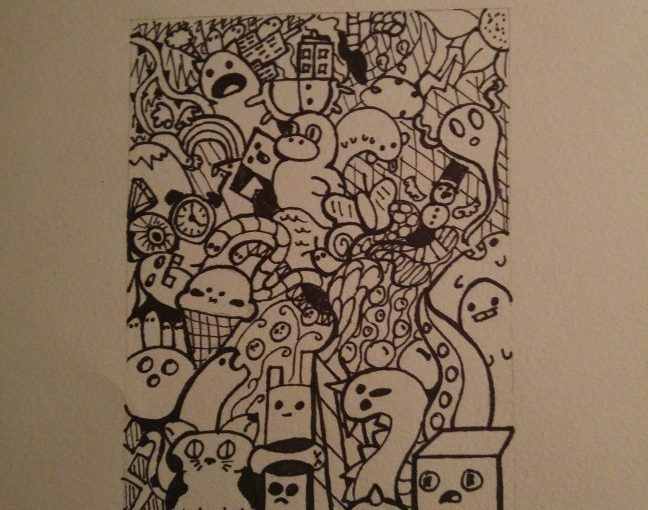 At home I moderated the server, finished my doodle, ate, then played Tetris on the gameboy colour (got way into it haha). I also watched Moana through one of the owner’s streams. It was slightly low quality, so I couldn’t appreciate the animation, but it was a good movie. I’m talking to Megg now and we discussed art, our days, keyboards, and now the website I programmed for my project. Fun talking to him.